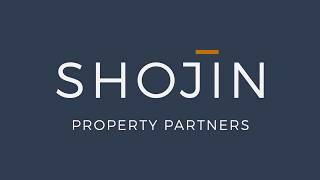 Shojin Property Partners is a Property Finance, Investment & Development company based in Central London. Shojin Property Partners is a full-service property finance and development company based in Central London. Shojin has been trading since 2009 and has a long and successful track record of residential development projects. Shojin’s completed projects have delivered on average an annualised return of over 20%. The team at Shojin brings together expertise in construction, finance and project management to structure schemes that deliver a superior product to property owners, developers and investors. We are not brokers. We are seasoned property investors with combined experience of over 40 years. We invest our own funds in every single deal we present to our investors. Our interests are always aligned with yours. We charge no upfront transaction or ongoing management fees. We simply share profits at the end of each project, investors first. It’s only fair that our investors earn returns before we do. 100% of your investment amount is invested into the project you select. We have a 2% acceptance rate for property development projects that approach us for funding. We only offer opportunities of the highest quality and prospect of success. Fund up to 96% of project costs Through our extensive network of property investors and lending institutions, we can source the optimal mix of funds for your projects. As developers ourselves, we understand project demands and the challenges involved in obtaining development funding. When working with us, nothing will be lost in translation. We are partners beyond funding. You will have access to expert professionals who will support you through the project. With their oversight, you will increase the chances of your success and maximise project returns.